Every time we accept the status quo of poor behavior, we are endorsing it. A strong leader should not only advise of behavior that is appropriate, they should embody it. They should be the person telling us that we don't tolerate bullying or harassment. Kitty Genovese was murdered in Queens, New York in 1964. She was attacked in an alley, walking to her apartment. The murder was witnessed by at least 12 people that night, hearing her screams for help. It was only after the final attack, where she was fatally stabbed, that the police were alerted. Kitty died in the ambulance on the way to the hospital. At the time, the lack of help was sensationalised but its basic bones serve as parable to all. I first learnt about the murder of Kitty Genovese during an undergraduate psychology lecture. It was used as an example of the bystander effect. This is a phenomenon when bystanders do not offer assistance to some in distress or trouble. The reasons we don't necessarily help one another can include feeling it's not our responsibility, not recognising the need for help or what we perceive the social norms of the situation to be. 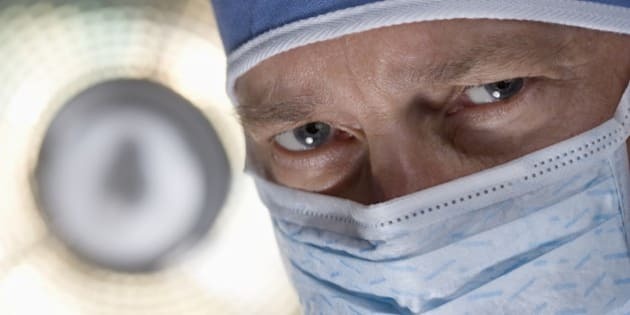 In a recent report into bullying in surgery, the bystander effect was cited as a reason that toxic workplaces continue to function as such. To put it simply, nobody does (or says) anything. During the investigation into bullying and harassment in the military, Lieutenant General David Morrison stated: "The standard you walk past is the standard you accept". "That goes for all of us, but especially those who, by their rank, have a leadership role." Every time we accept the status quo of poor behavior, we are endorsing it. And what Morrison says about those of us who hold more power, sway or experience is so true. Lead from the front. In areas or situations where it is easy to just accept things as they are, a strong leader should not only advise of behavior that is appropriate, they should embody it. They should be the person telling us that we don't tolerate bullying or harassment or generally poor treatment of others. They should be demonstrating it. They should be the person calling out what is wrong, even if it is hard. Even if it is uncomfortable. If we see our leaders putting life's uncomfortable situations into the 'too hard basket', we are liable to do the same thing. We will be much more likely to become the complicit and apathetic bystander. Personally, one thing I have found to be a perpetual disappointment is the inability of my leaders, my seniors to stand up for what is right. We don't have to be a leader to say what is not okay. It's harder from a place of relative powerlessness to be in that moment, the leader. But I still hold out hope that our 'leaders' can learn from the courage and integrity of others. While we may now by and large agree that workplace bullying and harassment have no place in our society, the next step appears to be the hardest. Even with recent media and professional body endorsement of this fact, we are still suffering under the oppression of badly behaved colleagues, probably in all industries. Change will take time, but can we at least start by saying that if something's not right, it's not right and we will no longer walk past that standard as acceptable. Our leaders need to do just that, stand up and speak up for what is right and address things that are wrong. If we care about our professions and our own integrity, it's now time to be courageous and true and lead us away from apathy and into positive change.